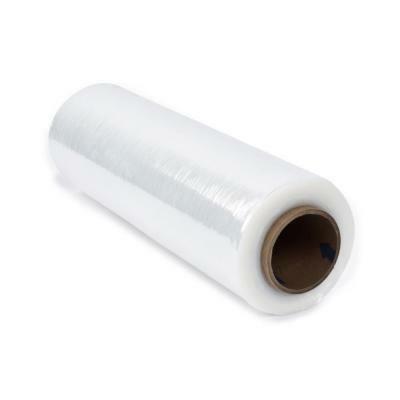 This large roll of stretch wrap film measures 18" wide and includes of 1,500 feet of film. Use to bind, bundle, and fasten various household items when moving or storing. Sticks to nothing but itself, with no adhesives or sticky residues, and no damage when removed.